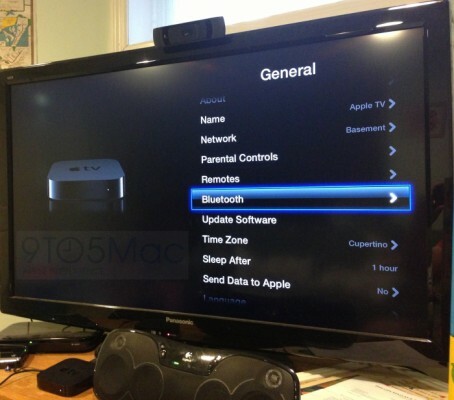 The Apple TV may just be a hobby (or is it?) but that doesn’t mean that it isn’t still receiving some new features as new versions of iOS are released. The latest beta release of iOS for the Apple TV is a prime example of Apple’s intent to push the device forward, and one particular new feature is one we’ve been begging for. If you’ve ever sat and entered a long iTunes or Wi-FI password using the Apple TV’s remote control, then you’ll probably have asked why the little black box doesn’t support Bluetooth keyboards. Nobody really understood the decision but, thankfully, it appears that it’s all about to change. Pairing a keyboard with an Apple TV post-update lets users enter passwords and search for content just as they might expect. Pressing the return key acts as a play/pause button and the escape key brings up the menu. Other than that, everything works just as you would expect it to. From what we’re hearing, pairing devices like phones, tablets, speakers and computers is still a no-no, but we’ll take keyboards for a start right now! Perhaps most interesting though is what this could mean for third-party hardware makers. Imagine Griffin or Logitech making a new, improved remote control that works over the new Bluetooth connection. Anything has to be better than Apple’s own remote, that’s for sure! Let’s hope this new feature doesn’t go missing before the public release!